With the growth in the science of Positive Psychology since the mid 2000s (particularly since the launch of the Master of Applied Positive Psychology program at the University of Pennsylvania in 2003, and then Harvard University offering its first course he following year), strengths-based coaching approaches have been key in helping individuals find insight and empowerment, while improving their well-being and resilience. The alternative? Traditional models of self and organisational improvement, and performance management ‘interventions’, have tended to work within a ‘fixing the weaknesses’ paradigm… often at the expense of attention to innate strengths. As many of you know, a blunt external feedback process can leave both deliverers and receivers entirely drained, for example, when focusing on how to ‘lift a rating’ on a less-well-performed performance criterion. A strength-based approach offers a far more energising alternative, of benefit to the individual, the relationships around them, and the organisation. Examples of some of the tools I use. Further details on my background. I recognise that coaching requirements are never ‘one size fits all’ in terms of structure and number of sessions. I offer services that range from focused goal attention to more layered developmental exploration and dialogue. Contact me to arrange a free initial consultation where we can clarify your needs and key elements of the coaching process. 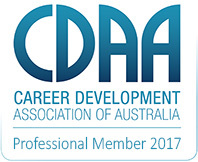 I am a member of the International Coach Federation (ICF) and Professional Member of the Career Development Association of Australia (CDAA). I adhere to the ICF Code of Ethics.